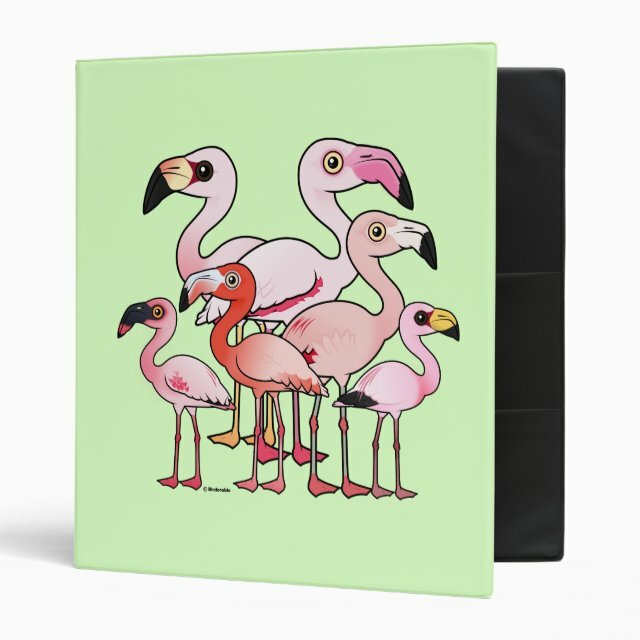 Cute Flamboyance Avery Signature Binder 8.5x11"
This fun pink bird design from Birdorable features all six of the world's flamingo species illustrated in our unique cartoon style. A group of flamingos is called a "Flamboyance". You can customize this gift! Move the design around, change the product color or style, add text or images -- make it your own! If you'd like to see Flamboyance on a different product not currently available, please send us a message and we can make the product available in our store. 3-Ring binders include full-bleed, photo-quality printing on the front, back and spine, and 4 pockets. The Avery Signature 1 inch Binder comes in two different ring types.